As the owner of a recreational vehicle, adventure is in your blood. And it’s not just a hobby, it’s your lifestyle. 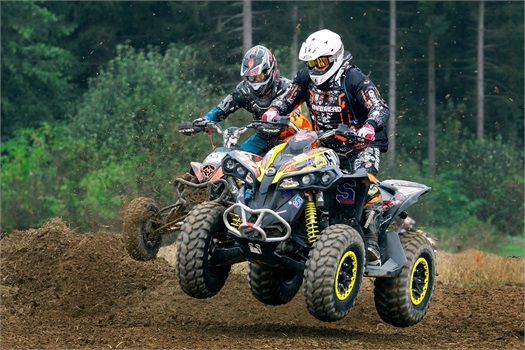 Is your camper, ATV, dirtbike, Jetski or side by side protected in the event of a collision or loss? Whether your recreational vehicle rests on four wheels, two tires, or on the lake adequate insurance coverage is a necessity. Without it, you could face financial hardship and devastating consequences. The truth is, any RV or toy you own that may cause potential, unintended harm to another person or property, needs to be insured. And the cost to cover these small recreational vehicles pales in comparison to the monetary devastation you may face in the event of an accident. Our team of RV insurance experts will help you select the coverage you need, at a price you can afford. As an independent insurance agent, we will work one-on-one with you to explore and select the right coverage for your recreational vehicles and toys. Our relationship with close to 20 personal line companies means you’ll have access to more insurance solutions designed to fit your needs. There are plenty of insurance agents out there promising low-cost policies - but at what expense? EPG Insurance will help structure a policy that complements your RV or toy, your lifestyle, and your specific needs. Contact us today to build a comprehensive recreational vehicle insurance policy so you can enjoy the endless adventures to come.